That’s the remaining number of area basketball teams still competing in the PIAA boys’ and girls’ state basketball playoffs after the first round. The good news for two of those squads — the New Oxford girls and Susquehannock girls — is that their second-round commutes will be very short. The York-Adams League rivals will square off Thursday at West York High School. While some of the drives may be shorter, the competition will almost certainly be more difficult. That’s typically what happens when you advance through the state bracket. 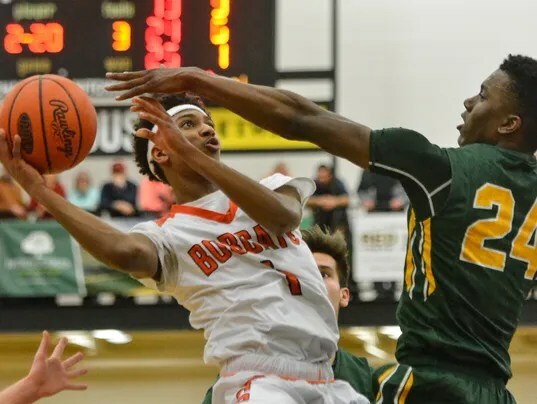 With wins in the second round, the area teams will advance to the state quarterfinals this weekend, putting them just three wins from a PIAA championship. All of the second-round games were originally scheduled for Tuesday or Wednesday, but were moved to Thursday because of Tuesday’s major snow event. Here’s a brief preview of the seven contests involving local squads.